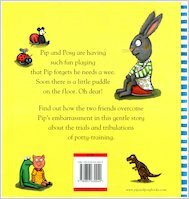 When tufty bunny Pip goes over to play at Posy’s house, the friends are having so much fun that Pip forgets he needs a wee. Soon there is a little puddle on the floor. Oh dear! 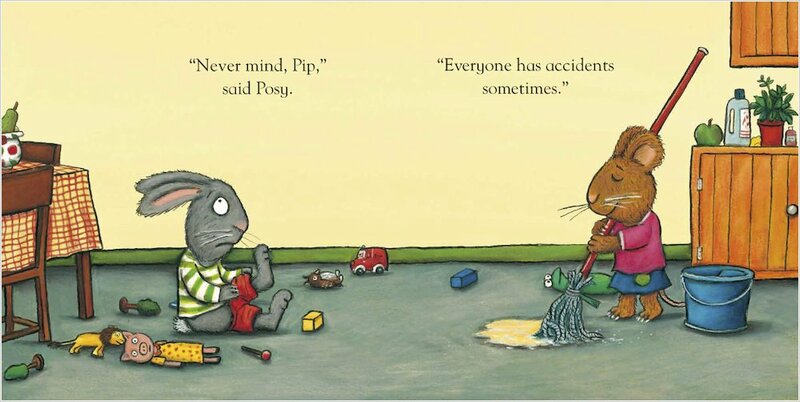 Posy says not to worry, because everybody has accidents. 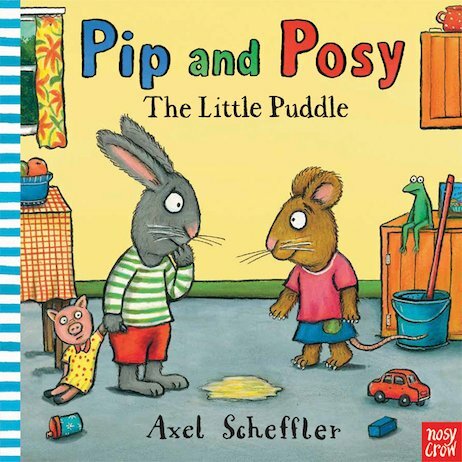 She’ll just have to find Pip some clean clothes to wear… Find out how the friends overcome Pip’s blushes in this sweet story about the trials of potty training, created by the illustrator of The Gruffalo. 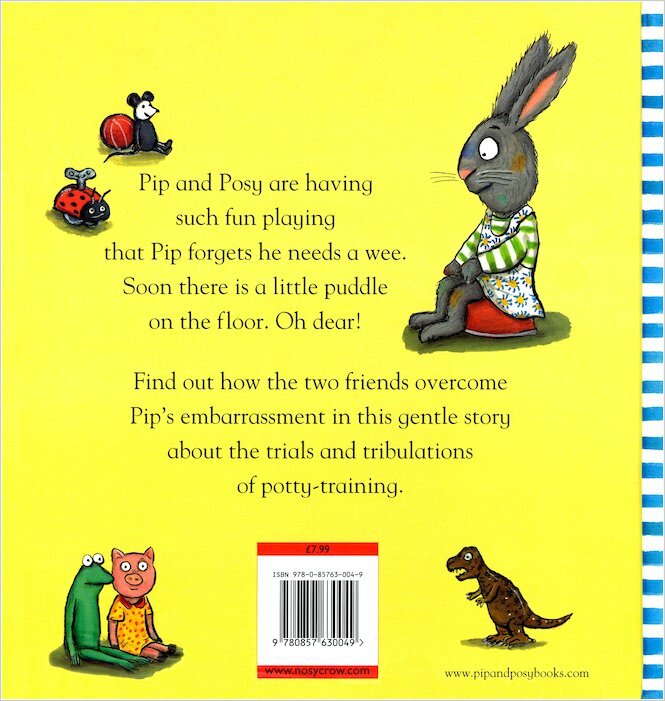 This charming book will remind every tot to use the potty – and help them to feel better if they do slip up! This is a really nice book with nice colourful pictures and a good story. 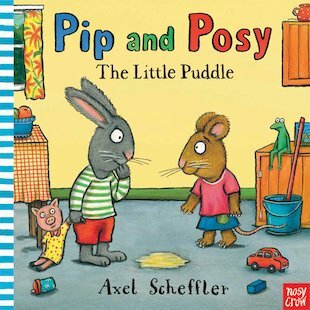 I think this book will help with potty training when we reach that stage so would recommend.